So… What Do You Eat? Since becoming a vegetarian in August, I’ve had many people ask me just what, exactly, I eat. And, honestly, I have a hard time answering this question. How do you answer that? Usually I go with, “Food!” or “Everything else!” and then sort of laugh it off. But what I’ve started to realize is that even after several months of no meat, I still have a hard time thinking of a meal without it being centered around a meat dish. 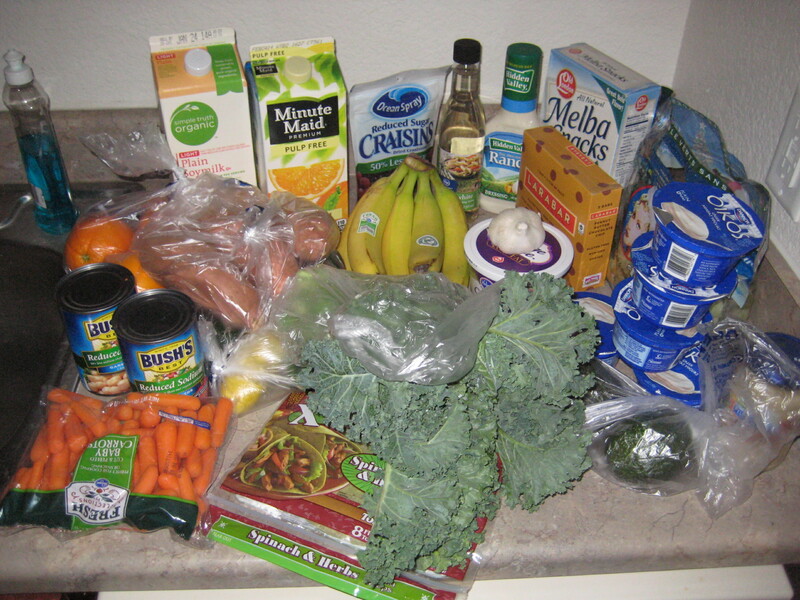 As a case study, here is what I bought this week at the store. 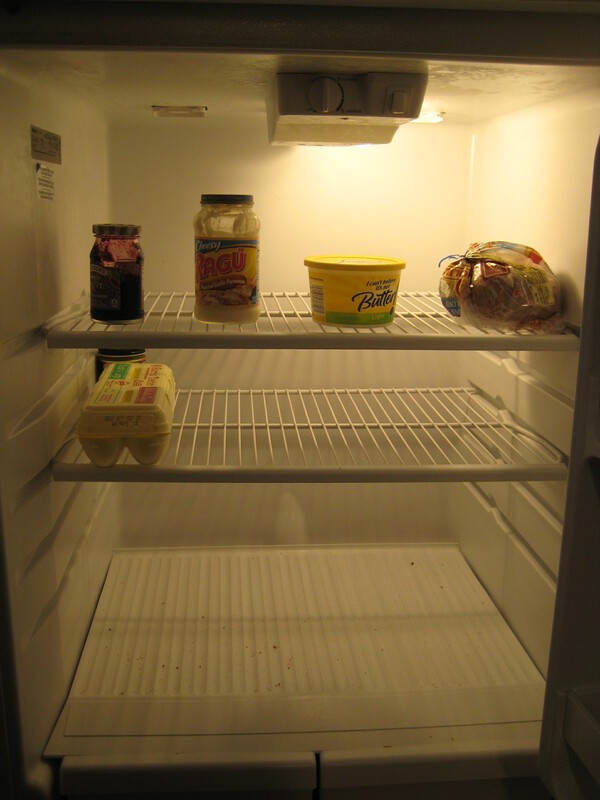 Keep in mind that my fridge was basically empty after being gone for almost an entire week for the holidays. On hand I already had oatmeal, quinoa, canned pumpkin, frozen fruit, black and red beans, and some frozen veggies. 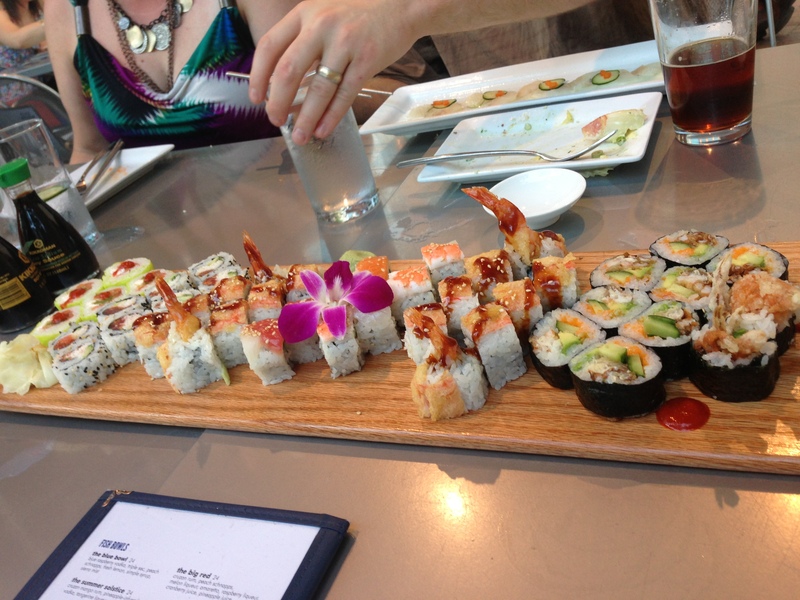 The last time I ate meat, I went all out with amazing sushi. It’s been two months to the day since I stopped eating meat (with the exception of a bite of chicken salad because I swore the container said potato salad). Honestly, my life has changed very little, but the subtle changes have been phenomenally interesting (to me at least). When I’m at home, life goes on as normal. It’s been so long since I’ve bought meat to keep at my house that I really don’t change how I shop or prepare meals. However, when I’m not at home, everything has changed. I learned that the broccoli cheese soup at Panera is made from chicken broth. So I ordered the black bean soup instead. I learned that when attending a party, I should trust my instinct to take a dish that I know I’ll want to eat. Chips and dip are great, but when you’re hanging out all day, it’s not quite satisfying, especially when you add in a couple beers. I learned that I had bent to people’s expectations about adding meat to dishes that really don’t need it to be amazing. I went to an Italian restaurant and had some great angel hair and artichoke pasta, and I was so glad that I said “neither” when the waitress asked if I wanted it with chicken or shrimp. Normally, I would have picked one just because. I learned I don’t really miss it. When I was at that party, I wanted a burger because I was hungry. But when I took a second to think about whether or not it was worth it, the answer was obvious. I didn’t actually want to eat meat. The smell of grilling was great, but when I looked at the actual meat, I genuinely wasn’t that interested. I learned that a lot of people think I will eat fish as a vegetarian. I learned that a lot of people (usually not the fish people) think I won’t eat eggs or dairy. To be fair, I have started buying eggs from someone I know because I’m more comfortable knowing that her hens aren’t given weird hormones or kept in itty-bitty cages. 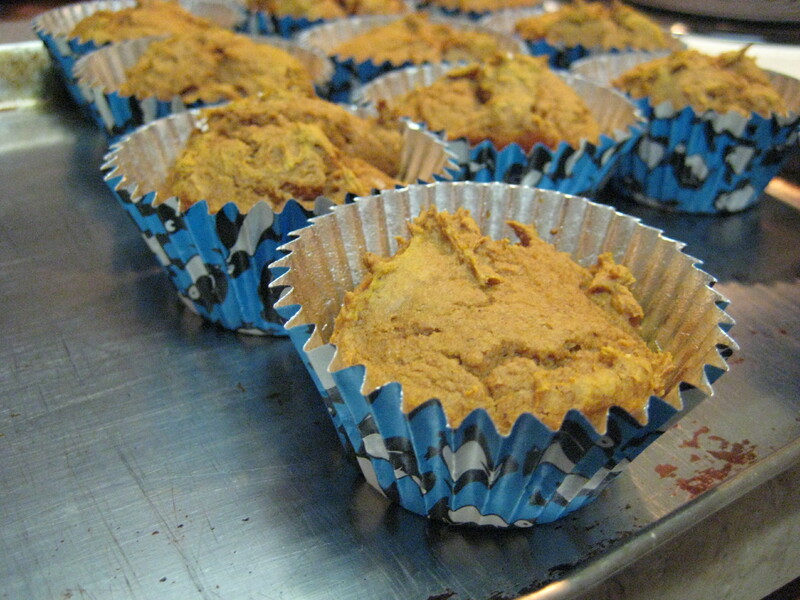 Plus, they taste better than store-bought eggs. I learned that a lot of people ask “why?” I find that it’s actually kind of fun to talk about. I really don’t care if everyone else eats a steak every day, but I appreciate the curiosity I’ve encountered. It’s also helped me articulate my reasons better and find common threads. For example, when I recently voiced that I feel tired and weighed down after eating meat, someone who eats meat regularly spoke up and said she feels the same way. Maybe by discussing what we eat and how it makes our bodies feel, we (collectively as humans) can pay more attention to what gives us energy and what slows us down. That’s going to be different for everyone, but by listening to my body, I can do things to feel the best I can. I learned that a lot of people follow “Why?” with “I could never do that,” which confuses me. I think what they really mean is, “I don’t want to do that” or “That’s just not for me.” And that’s okay; I don’t mind. bout making choices, setting limits and seeing how those limits open you up to a million new choices. 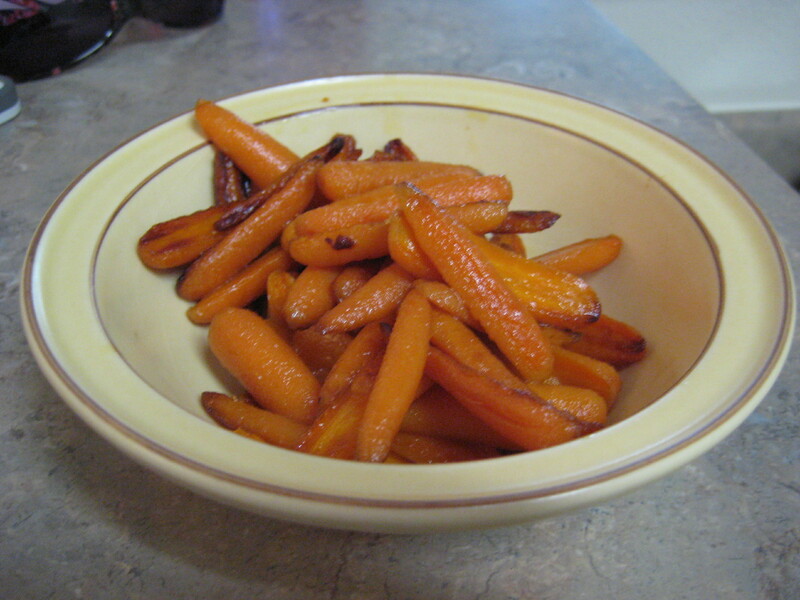 Lazy Girl Cooks: The Best Sautéed Carrots You Will Ever Eat. Seriously. Ruining the nutritional value of carrots is the best way to go! Since my sister gave me this recipe a few months ago, I make it just about once a week, it’s that good. To be fair, this is not really a vegetable. No, this is butter and sugar disguised with a hit of something that was once healthy, so don’t think this is some health nut thing. This is desert. I usually eat the whole mess in one sitting and call it dinner. I’ve been on a bit of a green smoothie kick lately. A few years ago, my sister introduced me to the concept, and although I enjoyed them while I was at her house, I never really committed to figuring out how to make them for myself. It sounded complicated and like a lot of work. It turns out they fit perfectly into my complete lack of cooking skills because they require no cooking. Pour in a splash of water or orange juice. 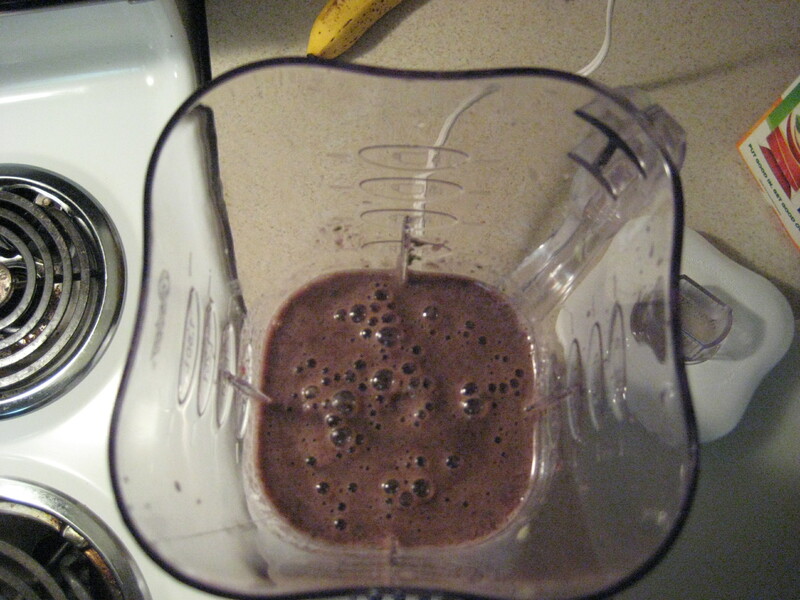 Dump in a little fruit like some berries or half a banana. Add a handful, or two or three, of spinach. Put the rest of the fruit you want on top (maybe half an orange, a few chunks of pineapple and half an avocado). Add a few chunks of ice if none of your ingredients were frozen and blend a bit more to make it nice and cold. Place goop in container that you can’t see the contents if it’s a gross color. Enjoy through a big milkshake straw. You get a bunch of fresh fruits and vegetables easily. It’s easy to drink in the car, at the office or while you are doing chores around the house. Really, blenders are not that hard to clean. You can experiment with any combination. Last week I added a few baby carrots, and it was amazing! Or half an apple (too much apple or pear, I have found, will make it foamy). You can do most of the prep work the night before–cut things into chunks, wash the greens, whatever won’t go bad overnight. Everyone will look at you funny when you tell them what’s in your drink. Ah, the joys of the Night Before Payday. It’s like the Night Before Christmas, only with slightly different plans for the next day. 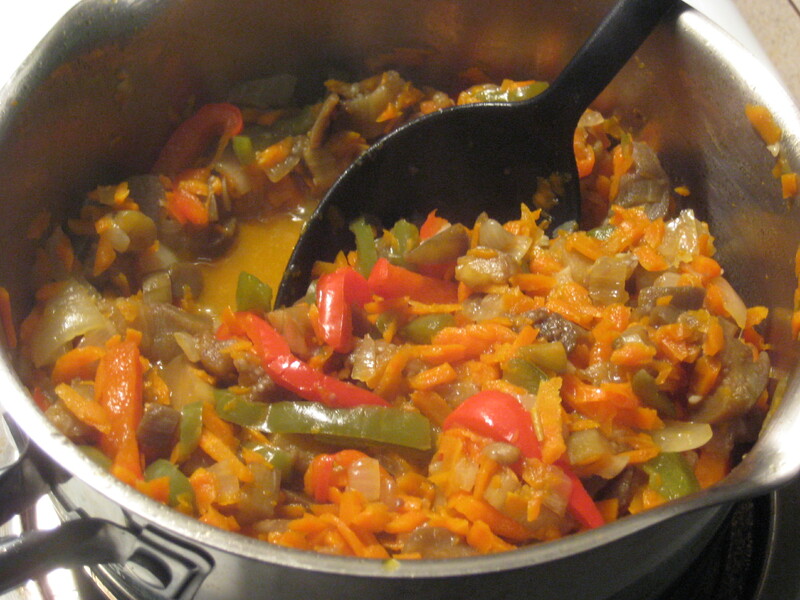 …I decided it was time for another installment of Lazy Girl Cooks. So let’s take a quick inventory here: bread (thankfully not moldy), butter, Alfredo sauce, blackberry jam, eggs and (behind the eggs) something that helped me make a soup once and I’m not sure what it is… maybe chicken bullion? Add in some Ranch dressing, pancake syrup and just enough milk for my breakfast cereal on the door. Oh, and some peanut butter and just enough cereal to go with my morning milk.